You meet children in need of a home and decide to build one for them – some people make it seem as easy as that. 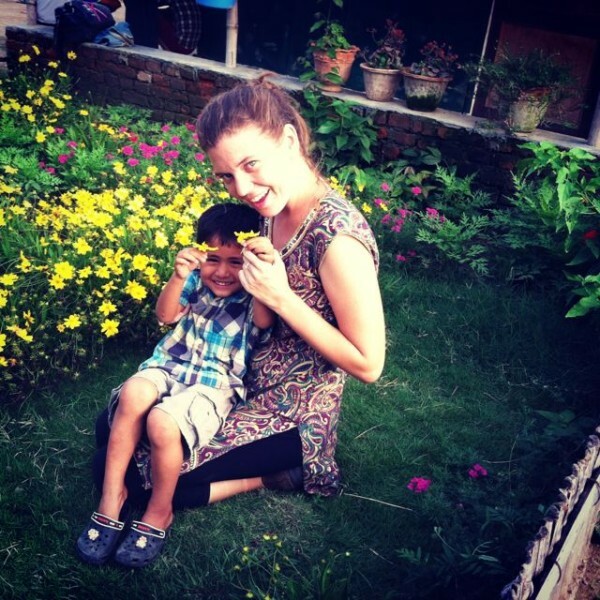 Maggie Doyne is one of them. Today, at the young age of 27, she can look back on a path of selfless activism. After graduating from high school she spent a gap year travelling the world. Her trip brought her to northeastern India and eventually to Nepal, where she fell in love with the smiles of children on the street, but was simultaneously heartbroken by their fate of poverty. Many of these kids had remained orphans after the Nepalese Civil War or had to work hard to help earn their own and their family’s living. 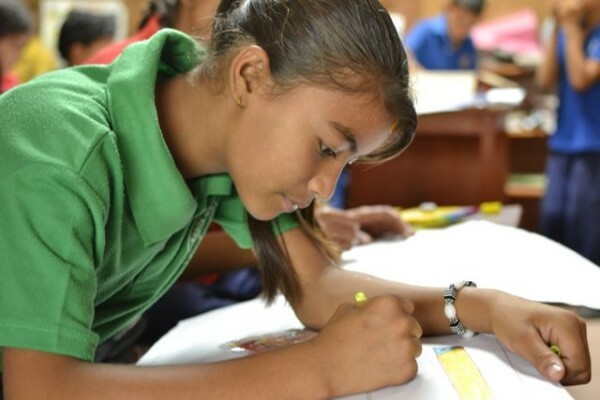 Going to school, learning to read and write, playing with other children was a luxury they could not afford. It was after meeting a 7-year-old orphaned Nepalese girl who was breaking rocks on the side of the river bed and picking up garbage that Maggie decided to do something about this condition. While other travelers just give a sorry look she decided to get active. 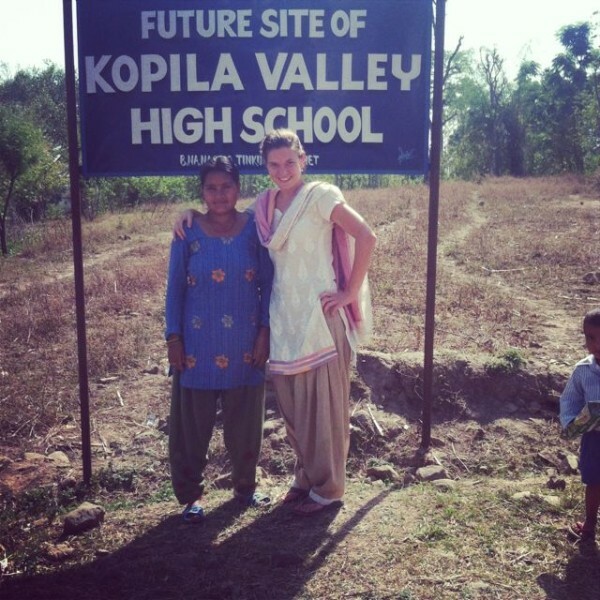 At only 19 years old Doyne spent her life-savings of $5000 on a property in Kopila Valley, a country-side region in Nepal and started building an orphanage from scratch. 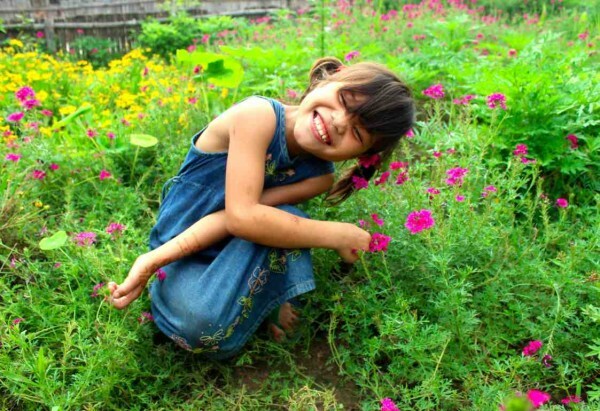 A few years and 120.000US$ of prize money later, the Kopila Valley Children’s Home was joined by a Primary School. Other projects involve a Womens’ Center, a planned Community Garden and a High School, with first classes scheduled for autumn 2014! Nepal’s society is a male-dominated culture where most women have little or no education at all. 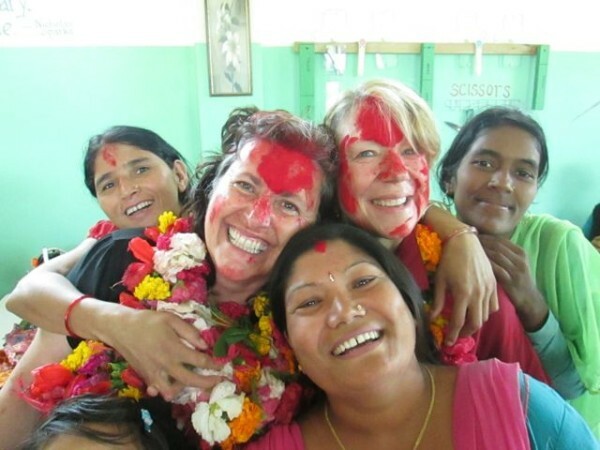 So in addition to Maggie’s work being great support to all impoverished and orphaned children of Kopila Valley, her effort for the female community is worth a special mention: educating young girls at school to live their dreams and help women to learn to live self-sustainably. The Women’s Center supplies local women with sewing machines, fabric, thread and everything else they need to produce sewn goods they can then sell at markets. It also offers literacy courses, training for small businesses and basic health care. Maggie Doyne’s limitless enthusiasm is an extraordinary example of the great things one person (and you!) can do with little money and a big vision. Maggie is now a mother of over 40 children at the Children’s Home and a teacher of over 300 children at the Primary School. She created the BlinkNow Foundation, which portrays and supports her projects in Nepal, coordinates international fundraising and set up the Fellow Programme for young people who want to volunteer in a developing country. Christmas is the time of loving and sharing, the time for remembering that not every child and person is as lucky as some of us who get to spend the holidays with a loving family, a full table of food and a roof over our heads. It is the time to share a little bit of our luck with those in need. BlinkNow and the Kopila Valley initiative is a non-profit organisation and needs donations in order to keep up their great work and improve their facilities. Maggie and her team are already working on the construction of a high school, but also want to bring new sports fields, green energy from solar panels, and a vocational center to the valley. You can donate to the BlinkNow Foundation right here. As little as 10US$ will give a kid a locally made backpack filled with school supplies; 35US$ are enough for art supplies to encourage creativity; and 100US$ supports either a constant member of the Kopila Care Team (uncles & aunts at the Home, teachers at the School) or a young Kopila Fellow from abroad! To spread the love for charity, share Maggie’s work with your friends and family and take a look at Gail Mooney’s wonderful documentary Opening Our Eyes, in which she follows Maggie and 10 other extraordinary individuals on their missions to change the world! With our new series “Travelettes of the Month” we hope to introduce you guys to some of the greatest travelling women on our planet. We want to inspire you to follow your own dreams and support young female’s, like Maggie, to follow theirs! 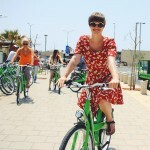 Also check out our recent Travelettes of November Marawa the Amazing and filmmaker Eva Stotz. All images via BlinkNow Journal. For more images check out this NYT article from Oct 20, 2010.